• Every year, there are about 141-150 beta- thalassaemia births in West Malaysia. • 4.5% of Chinese are carriers of alpha- thalassaemia, and most are not aware of it. • There are over 2,400 transfusion-dependent thalassaemia patients in Malaysia. • At least 80% of thalassaemia major patients do not live beyond the age of 10 or 20. • 3% to 5% of Malaysians are Thalassaemia carriers. • It is passed down from healthy parents who are carriers. • Carriers do not show any illness but may pass it on to the next generation. 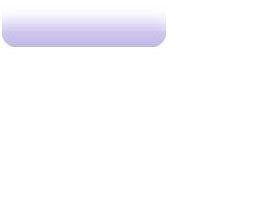 • People become carriers (known a thalassaemia minor) when one of the parents is also a carrier. • People can suffer from thalassaemia disease (Thalassaemia major) when both parents are carriers. 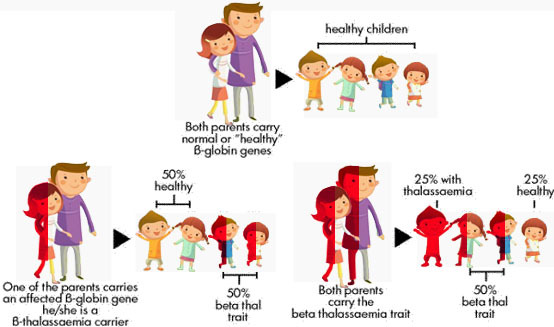 The problem arises when two people with the thalassaemia trait have a child together. Each of them could pass on that half of the information containing mistakes. If that happens the child will make red blood cells that cannot carry enough oxygen and this child will have thalassaemia. What treatment is required for patients suffering from Thalassaemia? A Thalassaemic patient needs Monthly transfusions to replace empty red blood cells with new healthy ones each time lasts about 4 to 6 hours. When the patient is given regular transfusions of blood, the body has enough healthy red blood cells to carry the oxygen it needs, the bone marrow can stop working so hard. The bones grow normally, the heart and other organs have less work to do and the patient feels much better. To have blood transfusions, the child will have to go to a hospital or special clinic. Each transfusion lasts about 4 to 6 hours and this has to be done on a monthly basis. The patient requires regular blood transfusions throughout his or her life. The blood transfusions, however, are complicated by a resulting build up of iron. It is important for every Malaysian who may one day have offspring to be aware of there Thalassaemia status. Many countries such as Singapore, Cyprus and Saudi Arabia have national screening programmes in place. Initial screening can be performed on a single drop of blood from a “finger-prick” collection and checking the samples turbidity when mixed in a glycerol solution. If the screen is positive, blood can then be sent to the laboratory for a full thalassaemia test.